The iLab at the San Francisco Unified School District (SFUSD) is one of the largest initiatives in the United States to apply design thinking as a human-centered problem-solving approach in K-12. The overall goal is to build human-centered strategic innovation capacity across the entire organization. IntoActions has worked with the iLab program team over the past two years to help them put into action and refine the design thinking methodology and strengthen its overall innovation coaching program. 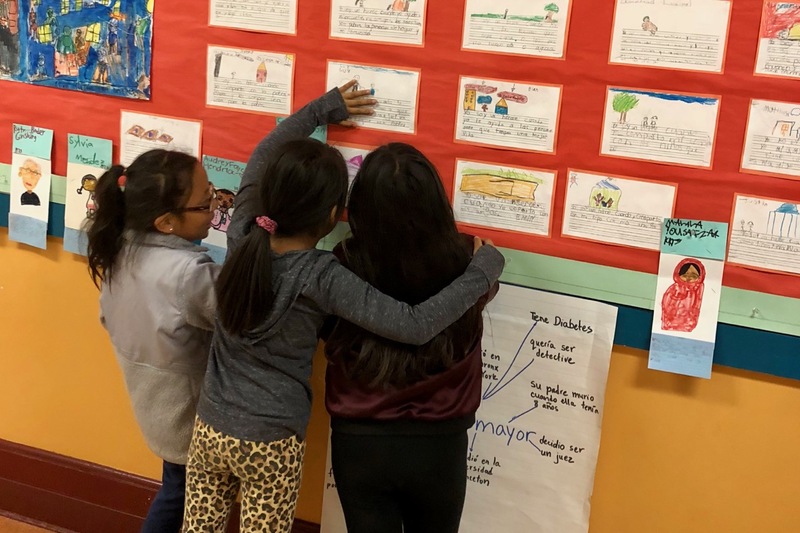 The following case briefly describes the implementation of the iLab initiative at César Chávez Elementary School, one of 16 schools that participated in the 2017-2018 Innovation Awards Program. 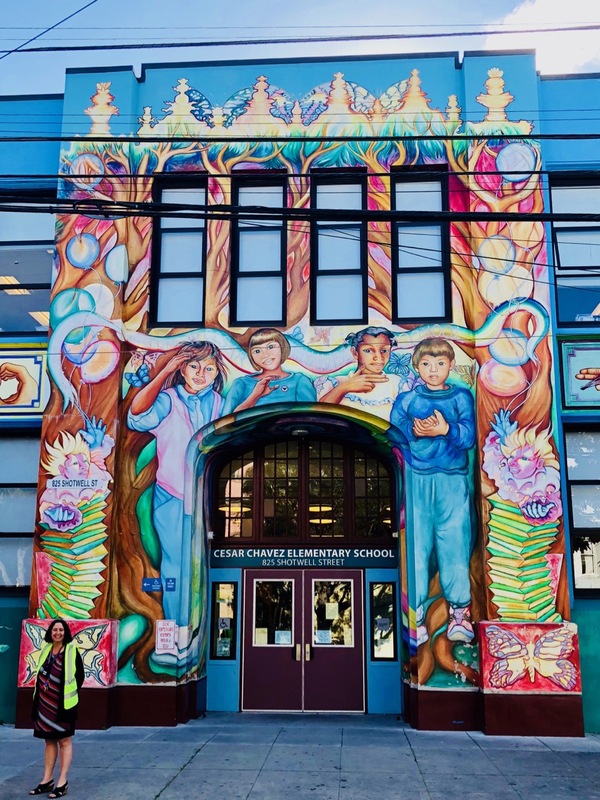 César Chávez Elementary School is situated in the the heart of the Mission District in San Francisco, traditionally a working-class Hispanic neighborhood that has been going through a massive gentrification process. The school is designated as one of 10 Historically Underserved Schools with close to 80% of all students being English language learners. One of the ongoing challenges at César Chávez is to find effective ways to increase engagement in learning for all students. Many students are performing below grade level and easily become discouraged or disengaged from learning. Many face additional difficulties at home including fear of displacement or deportation. Over 80% of students are from low-income families and 24% of students have IEPs (Individualized Education Programs). The value of collaborative and project-based learning (PBL) is well known as a way to engage students in more active learning, and PBL has been discussed by the staff and teachers of César Chávez for some time. However, the practical challenges of designing and implementing effective group work that engages all learners are significant. Furthermore, the task of introducing PBL to new classes and across grade levels can be daunting. The six-member design team consisted of the principal, a curriculum and technology integration specialist, who was also the team leader, and four classroom teachers from all grade levels, working together throughout the entire school year. After an intensive two-month deep-dive and design phase during which the team members honed their tools and techniques to better understand the challenge and come up with innovative solutions, the team then spent the rest of the year testing, refining, and implement their solution. An experienced design thinking expert coached the team throughout the school year. You can learn more about the overall structure and process of SFUSD’s iLab innovation initiative here. By reaching out to all stakeholders of the César Chávez community (students, teachers, families), the design team gathered valuable input on how to move forward with the goal of increasing engagement in learning for all students. One of the deeper insights the team identified by interviewing and observing students was their excitement around celebrations. Students were noticeably more engaged when they had an opportunity to work together and share their learning inside and outside of school through Learning Showcases. 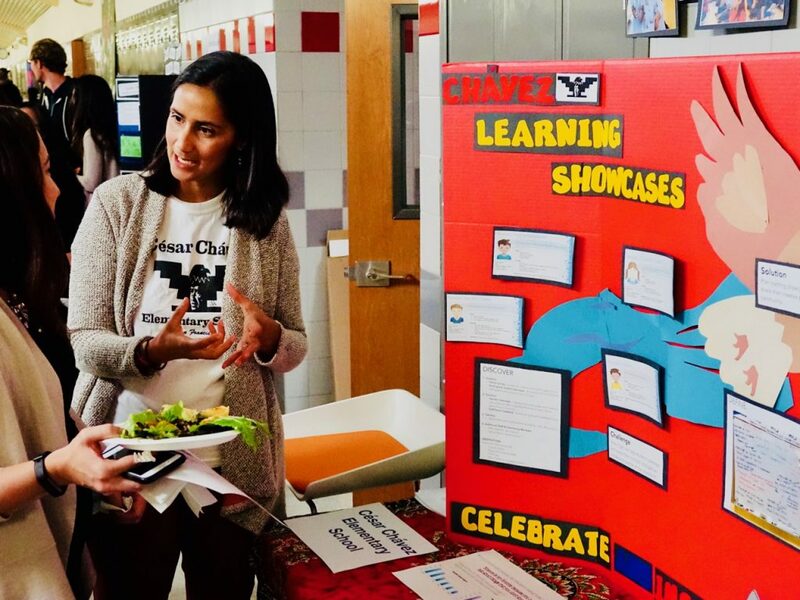 Moreover, the design team recognized the potential of using Learning Showcases as an ideal vehicle to infuse PBL across the grade levels, as it provides for a clear focus and entry point as well as a shared purpose for teachers. 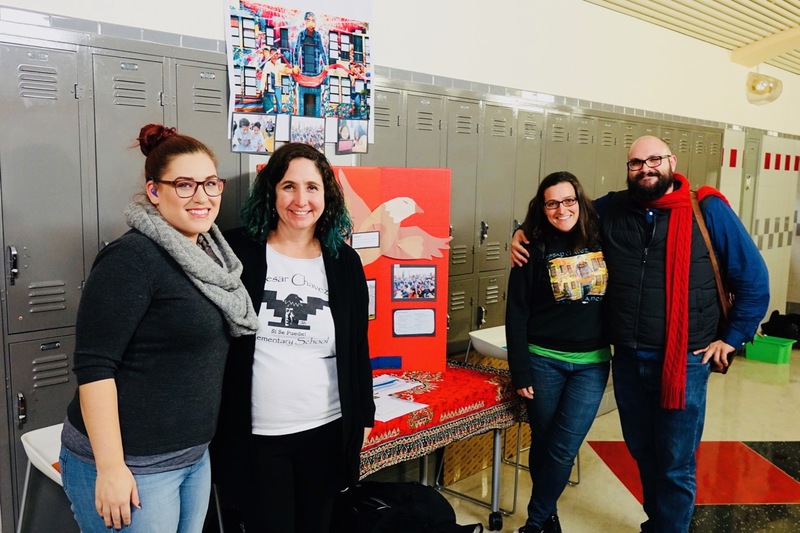 The Innovation Award allowed the César Chávez team to provide release times for all grade level teachers to plan and implement several prototype Learning Showcases at the end of the school year. Student engagement, enthusiasm, and joy of learning were noticeably stronger. Based on the feedback from the first round of Learning Showcases, staff and teachers will improve on these early prototypes and plan, implement, and test additional Learning Showcases throughout the 2018-2019 school year. Recognizing the difficult task of designing and implementing engaging PBL activities, César Chávez will work with internal as well as external experts (Buck Institute for Education) during the 2018-2019 school year. In addition, the team will integrate key principles from the Complex Instruction program, a Stanford-based program that offers a comprehensive approach for engaging all students in group work and promoting equity in heterogeneous classrooms. All teachers and classrooms implemented some project-based learning components into their instruction for the final writing spiral in 2017-2018. Many teachers described an increase in collaboration with their grade level team and an increase in student engagement and creativity. Teachers said that students did more hands-on activities and had more choice in how to demonstrate what they learned. The showcases were an opportunity for students to show their projects and also teach others about what they learned. Overall, there was a buzz of excitement in classrooms at the end of the year as students worked on their projects, and they were so proud to show what they had created to other students, families and friends.